What numbers do you use? Programmable engine management allows the selection of pretty well any air/fuel ratio and any ignition timing at any load and rev point. But what are the "right" settings that should be used? It's unlikely that you'll be doing a full programmable management tune yourself (you really need a dyno and a wide-band air/fuel ratio meter) but here's a guide to the settings that will give good fuel results. 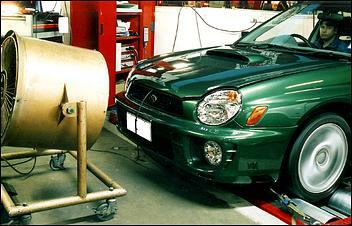 Air/fuel ratios are typically measured using a so-called "wideband' air/fuel ratio sensor. This is usually just a normal oxygen sensor that is a little more linear in its behaviour away from the 14.7:1 'switchover' point (where the sensor output voltage suddenly changes from high to low) than a typical oxy sensor. 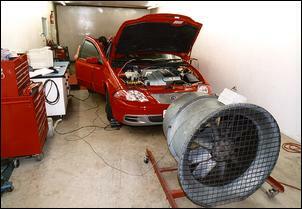 More sophisticated sensors use UEGO or oxygen pump designs, but in tuning workshops these are still almost unheard of. 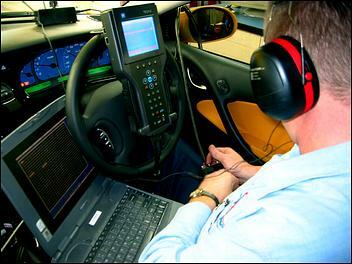 In addition to this high speed measurement, some workshops use a slower speed gas analyser, logging its results during dyno power runs so that they can compare those readings with the oxygen sensor system. The disadvantage of gas analysers is that they are too slow to get the instant results which are needed when tuning real-time. But for setting the steady-state light-load cruise mixtures, for example, a gas analyser is fine. 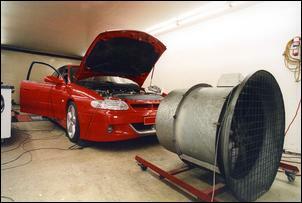 Most workshops have high-speed air/fuel ratio metres than read too rich at the rich end. All meters will be able to read around 14.7:1 mixtures in light-load, closed loop cruise - but that same meter may read a full ratio too rich at 10:1 air/fuel ratios. Meters typically read too rich because the exhaust gas temperature compensation is poor. Mixtures around 9-10:1 (ie ultra rich) will cause the car to blow black smoke, but even when workshop meters are displaying that figure, smoke is rarely seen. However, a meter reading richer than reality is in many ways a safe meter - the tuner won't set up the car dangerously lean. 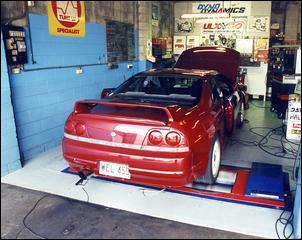 But a key question to ask of tuners is: how long since you replaced your air/fuel ratio sensor? 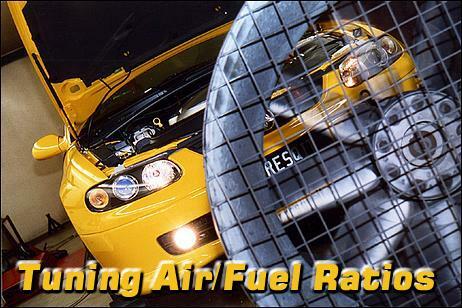 There is no one air/fuel ratio where all emissions are minimised. At an air/fuel ratio of 14.7:1 oxides of nitrogen peak, while hydrocarbons and carbon monoxide (CO) increase substantially as the air/fuel ratio richens. In the engine operating range from peak torque to peak power, a naturally aspirated engine should be slightly leaner at about 13:1, with the forced induction factory engine about 12:1 and an aftermarket supercharged engine staying at about 11:1. How a car drives on the road is a pretty damned important part of owning a modified car - and in both the power that is developed and the driveability, air/fuel ratios are a vitally important ingredient.